Home / BORING SHADES OF GREY | PLAIN T-SHIRT DRESS & FUN TIGHTS! Grey has a reputation for being a bit of a bore doesn't it? BUT.... it can be an interesting colour. Grey comes is so many different shades that there is bound to be one that appeals to you. Grey can also be warm or cool toned, depending on the mix. So, there is a grey to suit everyone. The subtle grey palette of colours ranges from pale cloud, to rich dark charcoal. Grey can be anything from subtle and demure, to a bold statement! Can shades of grey make an interesting outfit? 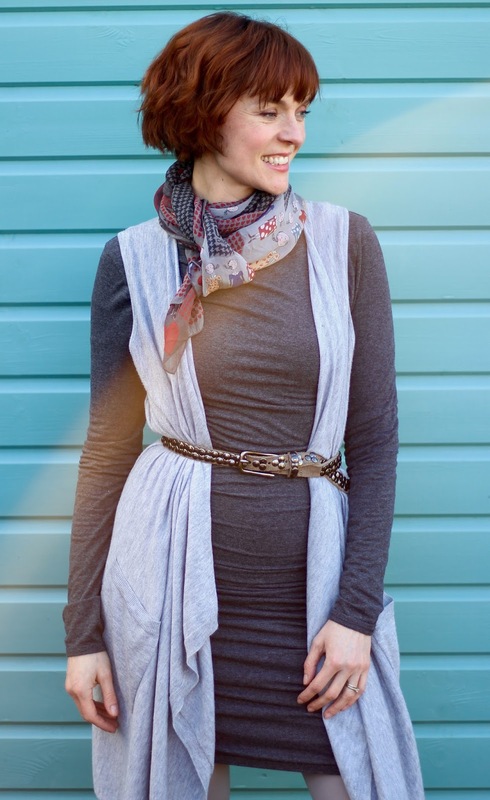 This simple outfit consists of a body hugging T-shirt dress and a waterfall waistcoat cardigan. The waistcoat is really only there to cover up my bottom, and and give me a little more body confidence! 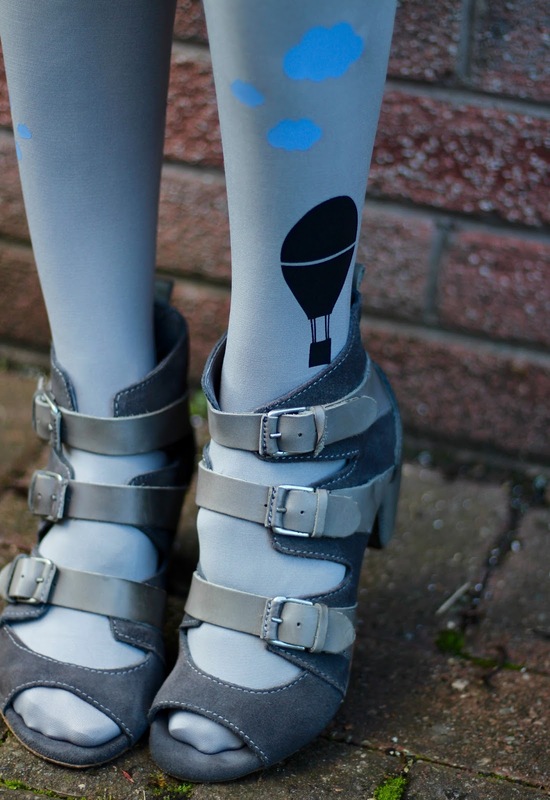 I decided to add a little personality to this otherwise somber look by popping on these quirky tights by Zohara. They are a great weight, with a peep-toe friendly seam, and such an unusual design. This pair has left me wanting more! These tights are totally tongue in cheek, so great for when you are not taking yourself too seriously and want to inject a little fun into your look! The studded belt was added in order to stop drafts, and keep me a little warmer, but it also gives some shape to the outfit. The same goes for the silk scarf at my neck (and my thermal baselayer hiding underneath) it's still cold here, despite being the start of spring. What shade of grey is your favourite? Would you mix different greys in the same outfit? Please let me know in the comments.... I would love to hear your thoughts!